Well that’s a mouthful! Cooking fish is so hard. I love salmon but getting anyone else to eat it is a challenge. I almost always order it when I go out because I have had so many fails at home. There is also not much enthusiasm when I announce “I’m making fish for dinner”…. and you know I live for approval from my teenagers lol NOT! But I do like every one to be happy and lets just say I have not written out a recipe in awhile and I’m breaking that streak to post this one! The teen that was home for dinner tonight went back for seconds! Score! This recipe was inspired by a recipe in the fish & seafood cookbook by Roy Yamaguchi. He’s the dude when it comes to fish. This recipe is in three parts but its actually really easy and I know you will love the results. Enjoy!! p.s. you could probably serve this over rice or use spinach. 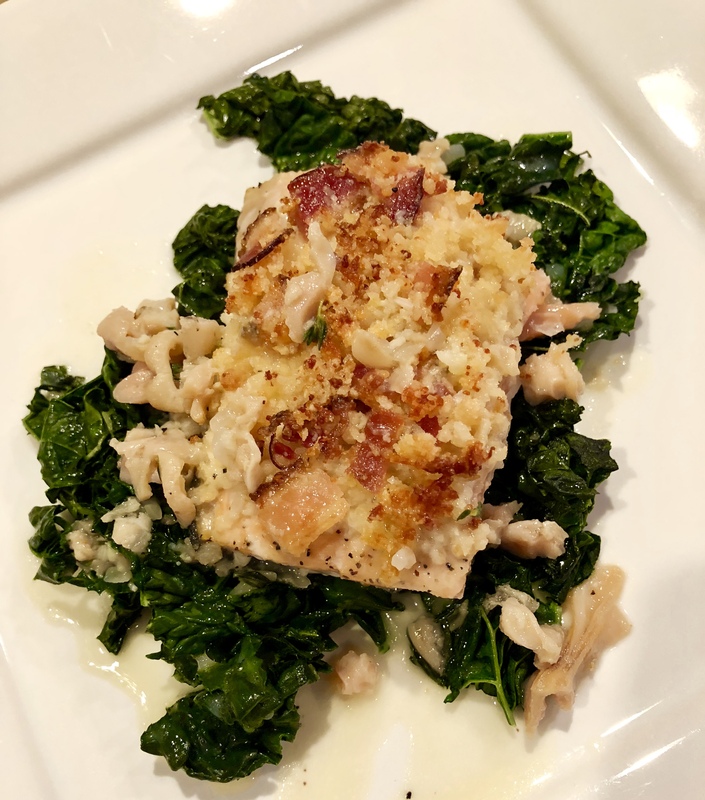 In fact the original recipe calls for a base of spinach and corn, so put the fish over whatever you desire, its the yummy sauce that makes everything taste good! 4 slices bacon, chopped I use the precooked kind for ease! For the sauce: heat the olive oil in a small pan, add the garlic, thyme and onions and saute for a few minutes. Add the clams and juice and bring to a boil, simmer for about 5 minutes then whisk in the butter until incorporated. Season with salt and pepper and turn heat to low. For the fish: pre-heat oven to 400. In a skillet, fry up the bacon, when some grease has been released add the garlic (if using precooked bacon add a tsp of olive oil for the garlic) saute until almost done then add the bread crumbs and cheese, stir until bread crumbs and cheese are slightly toasted, remove from the heat. Pat dry the salmon, season with salt and pepper. Top the salmon with the bread crumb mix and cook at 400 degrees for about 10-15 minutes until salmon is flaky but not overcooked. For the kale: While the fish cooks, add the oil and water and kale to a medium pan and saute with salt and pepper until wilted. Set aside on low heat. 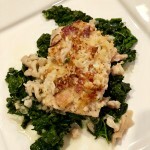 To serve: Plate some sautéed kale, place a piece of fish on top and spoon some of the warm sauce over the fish and kale. Enjoy! Want my posts and recipes in your inbox? Is stress making you stupid? 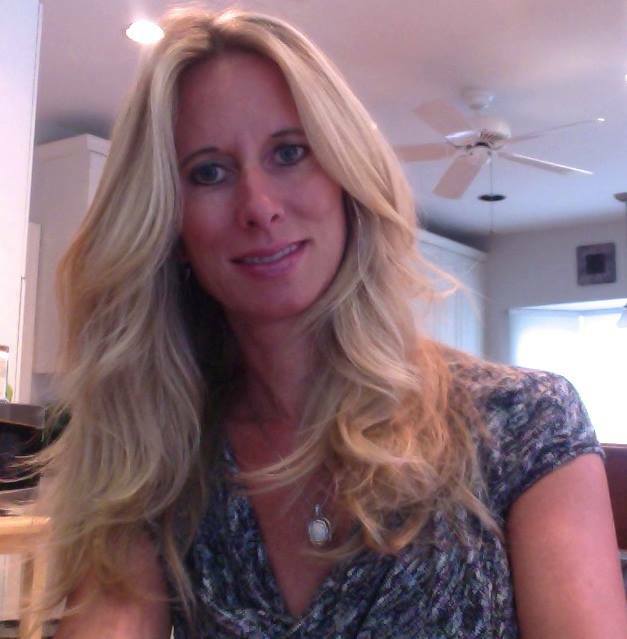 Pre-menopause or Menopause got you down?? What’s better than food art?